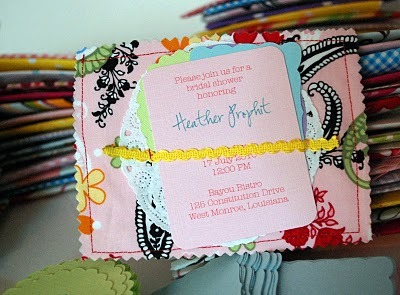 I love these fun DIY shower invitations wrapped in fabric envelopes that are featured on Our Life Right Now! The envelopes would also add a nice handmade touch to save the dates. 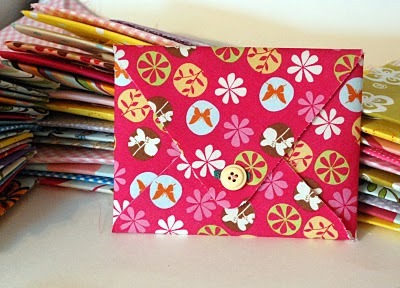 Learn how to make the fabric envelopes over at Dear Lizzy.